Wishing wells are available in a number of styles, sizes and materials. Choose from our original pressure treated pine with cedar shingles and copper top to our new colorfully trimmed wooden and stone wells. 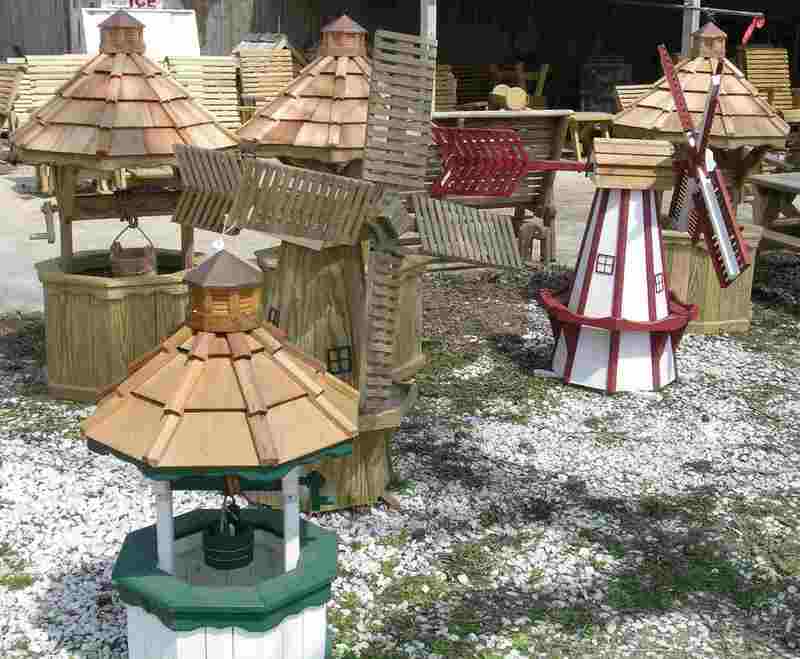 These decorative wells can be used to cleverly conceal an existing well cap or other distracting lawn feature. Make sure to measure the structure you intend to cover before you come to select your well.